From the same architect who designed Christchurch's interim cardboard cathedral comes Shishi-Iwa House – another exercise in sensitivity with its surroundings. 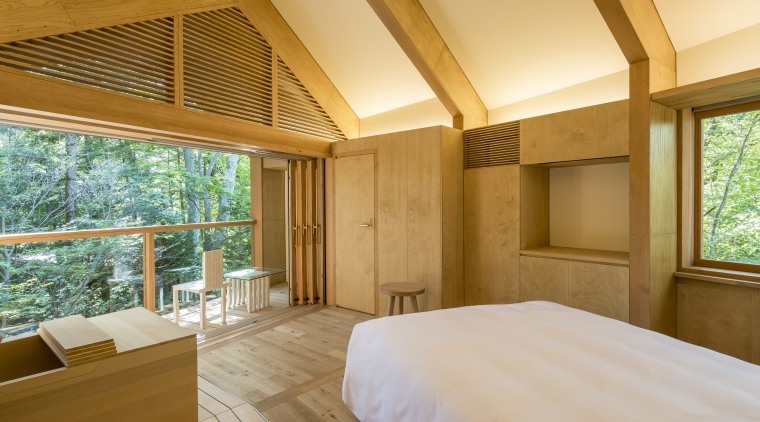 The 10-room boutique resort designed by Pritzker Prize-winning Japanese architect Shigeru Ban, has officially opened its doors in Karuizawa, Japan. 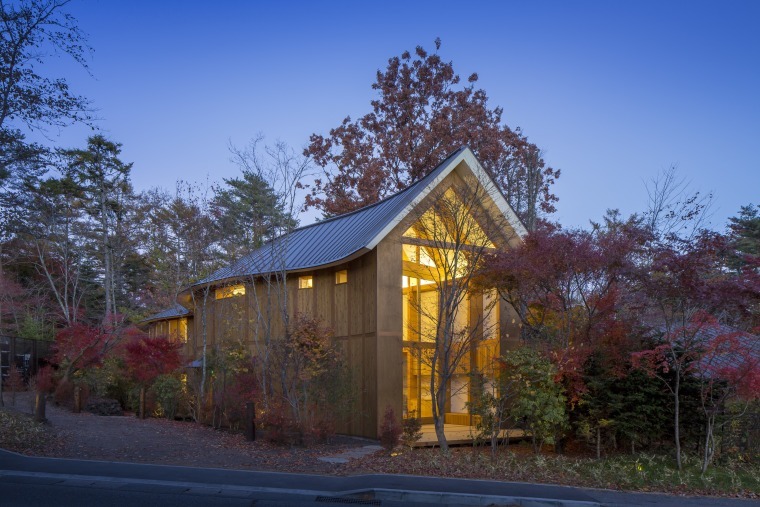 Developed by HDHP GK, a social enterprise sponsored by HDH Capital Management, Shishi-Iwa House is a restorative retreat that reinforces the relationship between nature, architecture and human connection. 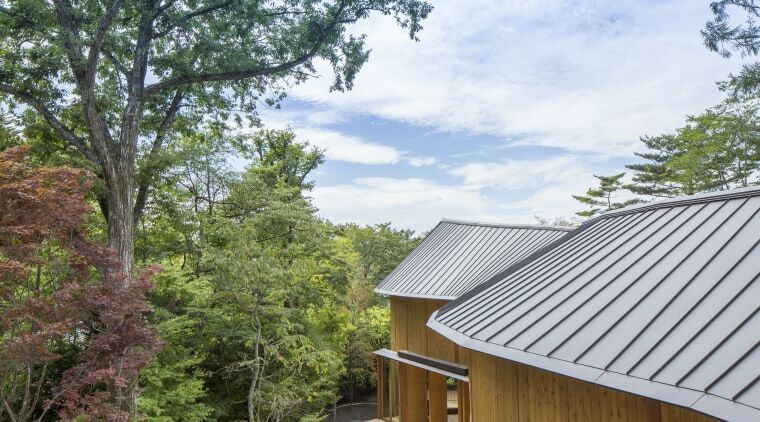 Nestled within serene, verdant woods, Shishi-Iwa House is built to embrace the notion of social hospitality, which sets the property apart from typical hotel experiences. 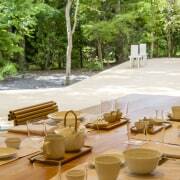 The retreat aims to be a place to reflect and restore energy, and in turn spark new ways of thinking for guests. 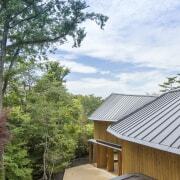 Unique in its architecture, the two-storey retreat crafted in a smooth, curvilinear form with an undulating roof that flows with the movement of the forest. 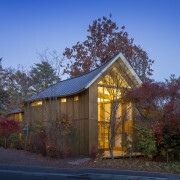 With the goal of conserving as many existing trees in the property as possible, Ban developed a new building approach that has never been used in hotel construction – timber frames were sandwiched between pre-fabricated plywood panels to create a series of modular structural frames that were transported to the site and assembled to achieve the building’s curvature. 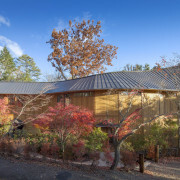 For Shishi-Iwa House, Japanese architect Shigeru Ban developed a new approach to its construction to preserve the surrounding environment. 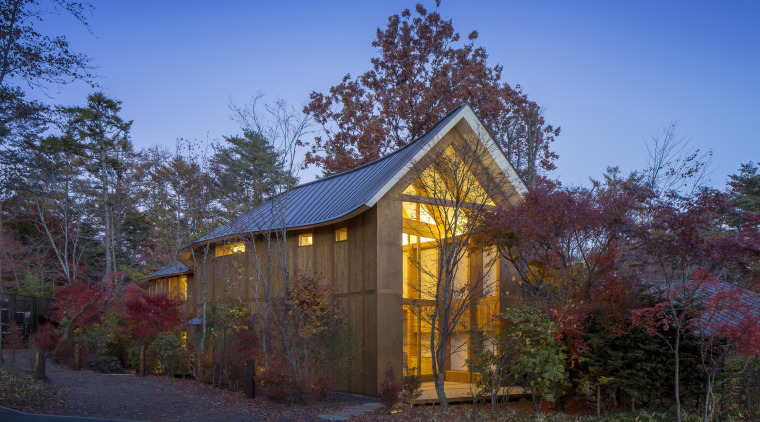 “For this project, I was interested in developing a distinct design language befitting to its beautiful location,” says Shigeru Ban, architect of Shishi-Iwa House. Interior items are carefully curated to complement the resort as a sophisticated and intellectual retreat. 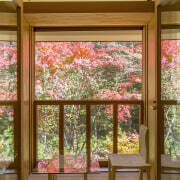 All interiors and furniture have been designed and selected by Shigeru Ban. 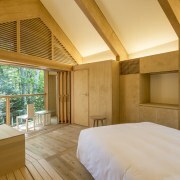 Noted for the use of cardboard in his designs, Shigeru Ban has fitted out the bedrooms and public spaces with timber and paper tube elements for a unique interior ambiance. 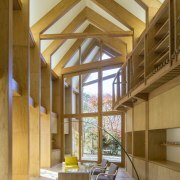 Alongside his own designs, Shigeru Ban has also selected furniture by one of the world’s most accomplished architects, Alvar Aalto.